OK, so our March book was Pantomime by Laura Lam. I think it's safe to say that we all enjoyed this book! Overall we gave it 4 out of 5 stars. We loved the characters in this story, the twists and turns the plot takes and the revelations along the way. We were in two minds about the ending though. While some of us loved the cliffhanger, others were left frustrated and wanting to know more of Micah's tale. We all agreed that we would be reading the sequel though! Another thing that a few people mentioned was the pacing. 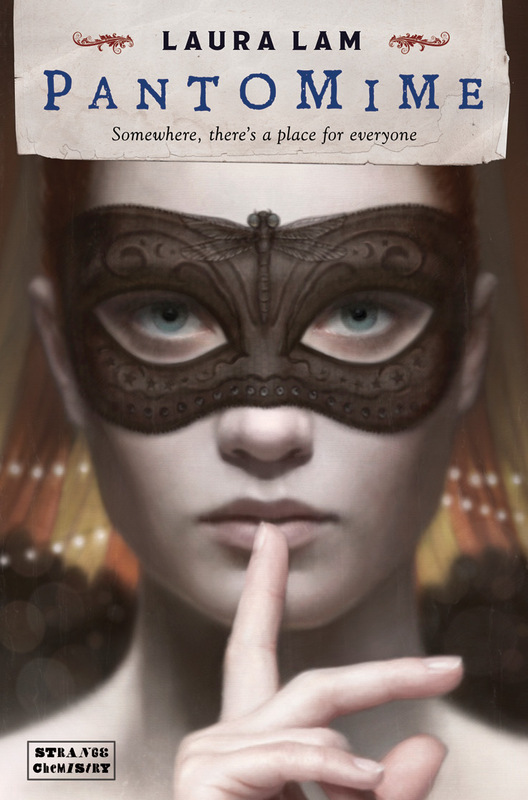 We enjoyed the way the story seemed to unravel slowly and grow in depth throughout the chapters. Some of us felt that the end was a bit "packed in". We felt it could have done with maybe fifty odd more pages, just to give the reader a bit of time to digest the rapid flurry of events that leads up to the end of this book. Those were really our only criticisms though. This book gave us so much to talk about! I don't think we had time to cover it all. We spoke a lot about the Penglass and what we thought it might be, and the Vestige. We are hoping to see and learn a lot more about these things in the next book! If you would like to know more about this book and what others though about it, check it out on Goodreads here. You can also visit the Strange Chemistry site, here, to find other brilliant Sci-Fi/Fantasy YA books. 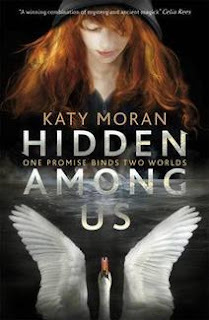 Our April book was Hidden Among Us by Katy Moran. We gave this book 3.5 out of 5 stars. We enjoyed it and most of us would read the next one, but it was missing that special something that would have made this a great book. We found that we didn't connect to the characters as much as we would have liked. There were plenty of things that we did like though. We liked the concept of the fairy/angel combination. It was well done and made this book different from many others that we had read. We also liked that this book wasn't entirely what it seemed to be either. I don't want give away any spoilers, but you really shouldn't judge this book by it's cover! We liked Katy's writing style too. We found her very descriptive and her writing has a lot of potential. Sorry that I've had to keep these quite brief, I'm surprised Blogger hasn't kicked me off yet! lol While I'm here I want to tell you about our plans for June. Seeing as it's our one year anniversary, I thought it would be cool to something a bit different. So we have decided that instead of picking one book, as we usually do, we have picked a series. The Chaos Walking series by Patrick Ness to be precise ;0) You don't have to read all three books if you don't want to, you can just read the first, but I figured seeing as most of us have read the first on and loved it, what better saga to pick, right? So that's what we are doing for June. We also decided at Aprils meet that Bunker Diary by Kevin Brooks will be our read May read. Most of you bought a copy lat week, but for those of you who haven't I'm pretty sure there are still a few left. I loved this book and I'm looking forward to talking to you guys about it next month. It's one of those books that forces you to have an opinion about it! OK, well I think that's everything. Seriously guys, if this posts without a problem I will show you all my happy dance!